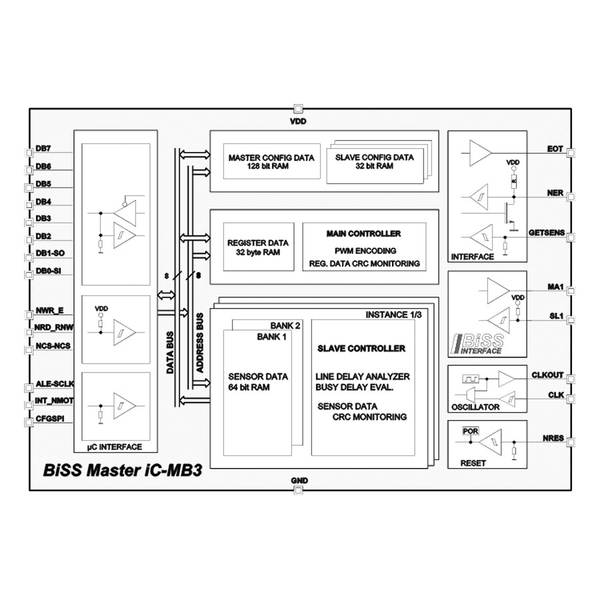 Bidirectional BiSS sensor communication with up to 3 slaves. 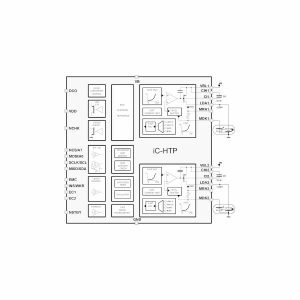 Supports SSI protocol for unidirectional communication. Synchronous sensor data acquisition with cyclic transfer at data rates of up to 10 Mbit/s. Command and slave register operations during cyclic data transfers. Data lengths of up to 64 bits for sensor data, independently scalable for each slave. Data verification by CRC polynomials of up to 8 bits, adjustable per slave and data area. Automatic compensation of delays, measurement and conversion times. Separate memory banks enable free controller access during BiSS sensor data transfers. 32 bytes of intermediate memory to ease bidirectional slave register communications. 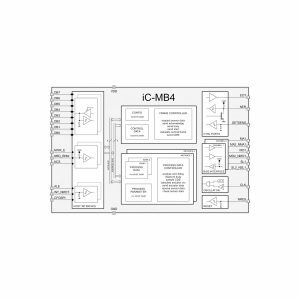 Parallel controller interface with an 8-bit data ⁄ address bus services Intel and Motorola devices. 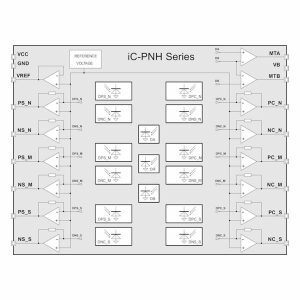 Serial controller communication by SPI™-compatible mode. 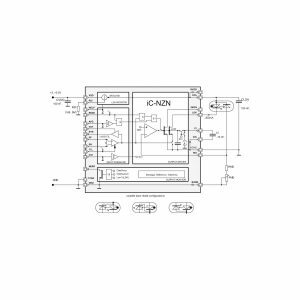 Single 3 to 5V supply, industrial temperature range.